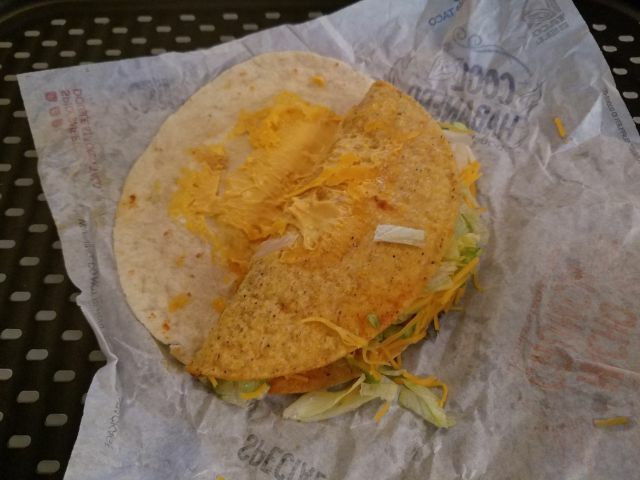 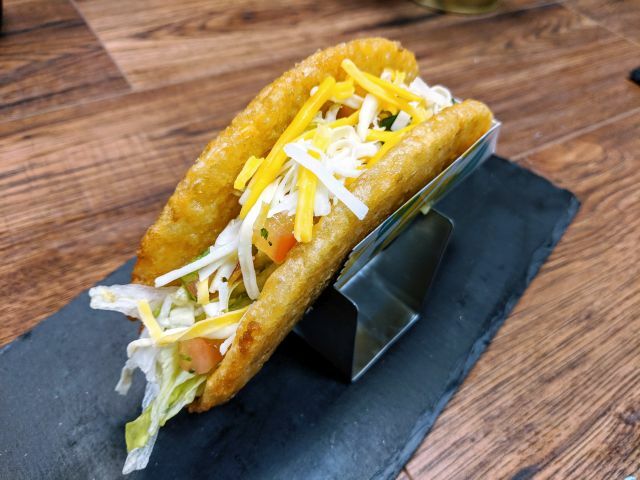 In case you wanted a closer look at the new Double Stacked Tacos that Taco Bell is testing out in Ohio, A.D. was kind enough to breakdown all three varieties and snap some photos. 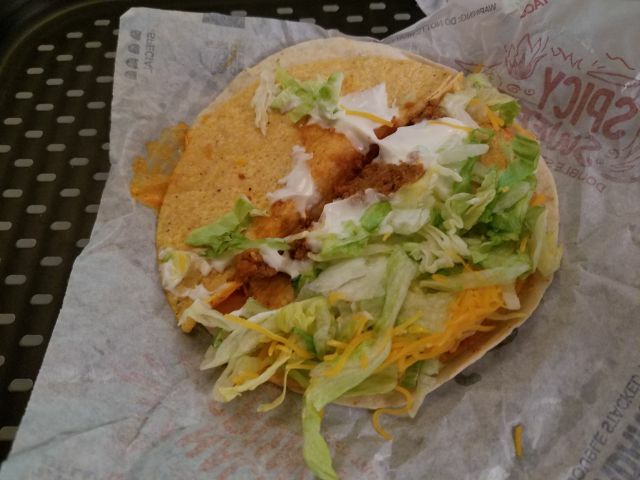 This one comes filled with seasoned beef, sour cream, lettuce, and cheese. 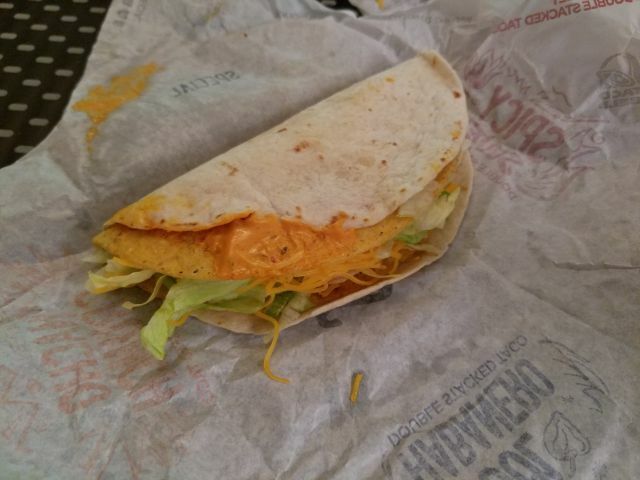 Between the crunchy taco shell and the soft flour tortilla is a layer of melted cheese and habanero sauce. 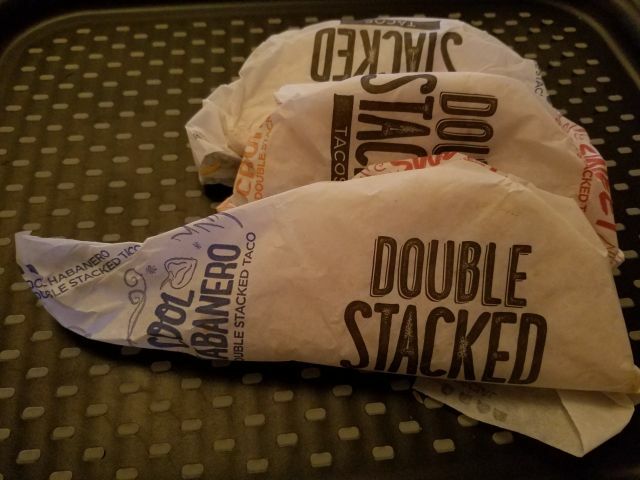 The tacos are all being sold for $1 (at least in testing). 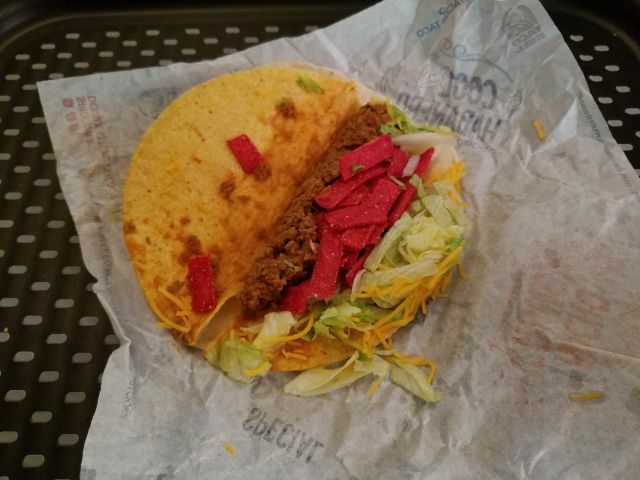 The filling for the Nacho Crunch is seasoned beef, lettuce, cheese, and red tortilla strips (sorry, no Flamin' Hot Fritos). 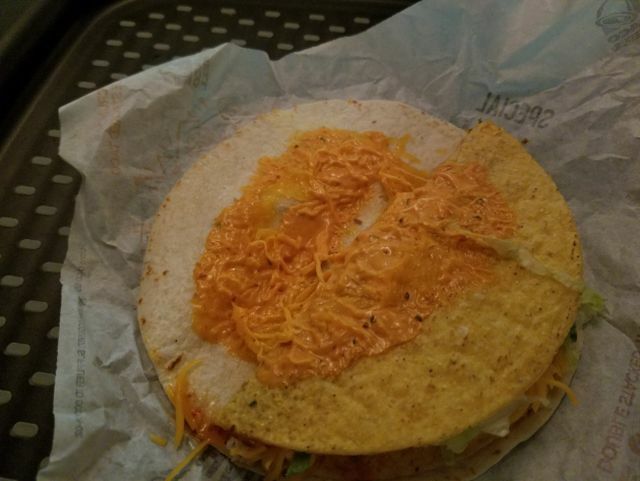 Instead of just melted shredded cheese, the "glue" layer is made of nacho cheese sauce (applied unevenly here) and just a bit of shredded cheese. 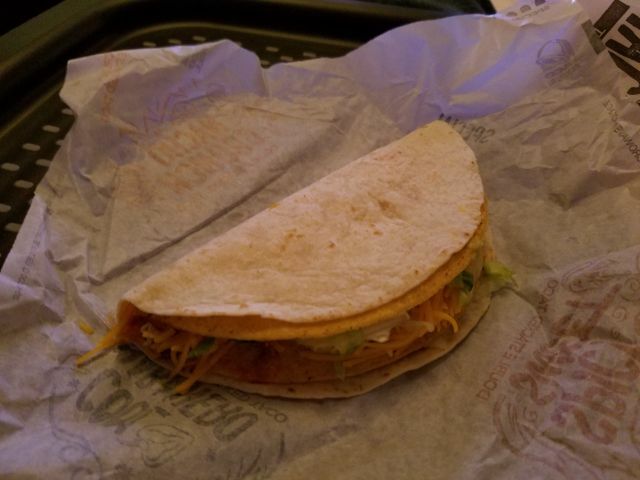 A.D. had this to say about it: "The tortilla strips combined with the hard shell was too much crunch / fried corn, and made for a somewhat dry taco without sauce." 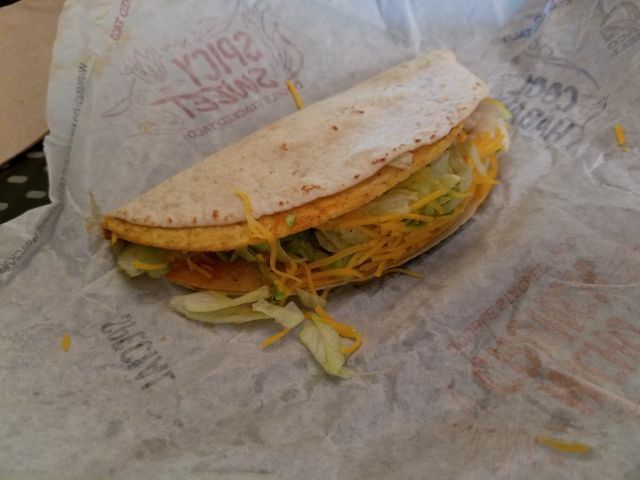 The crunch taco shell comes filled with seasoned beef, shredded cheese, lettuce, and sweet chili sauce. 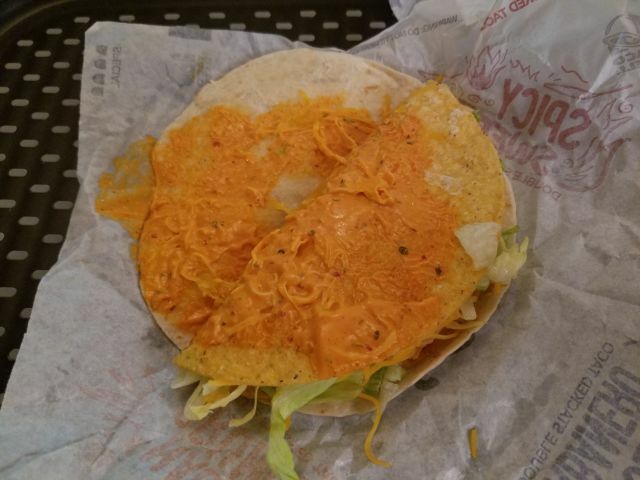 Like the Cool Habanero, it also includes a layer of shredded cheese and habanero sauce. 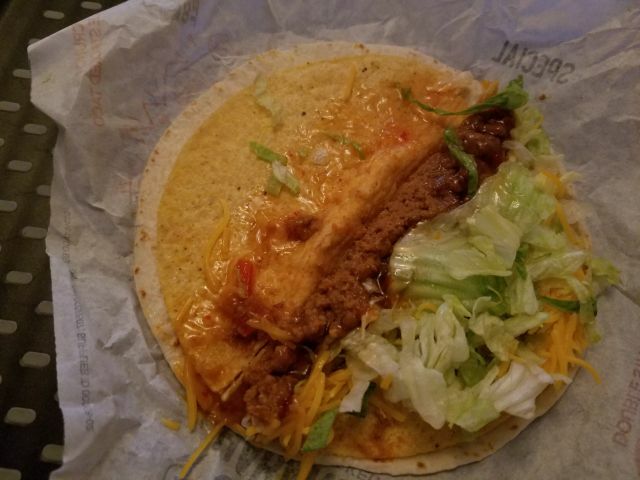 The combination of sweet chili sauce with seasoned beef seems like it might clash but we'll see if these ever make it out of test.